Bordeaux is an ultimate camping destination. Are you looking for an ocean retreat? Do you want to get lost among the vines or is the family fun park more to you taste? Camping in Bordeaux guarantees a memorable vacation experience. 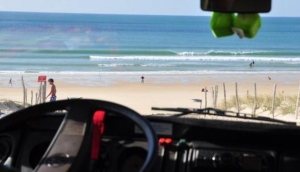 Explore Bordeaux by mobile home or pack your tent to bivouac on a quiet stretch of silver sand on the Cote D´Argent and in the forest of Les Landes. Trek inland to discover regional fare in the Bergerac and Cahors areas. Roll along and discover famous châteaux. You´ll be able to restock your gear at sport stores in Bordeaux.